This was actually a practice session that I felt turned out well enough to share. I love glitter gradient nail art, but I'm not very good at doing them! In particular the gradients that start at the cuticle and fade out. Different Dimension All Red-y In Love is packed with glitter and easy to work with, so I think I did okay this time! My base was two coats of China Glaze Frosty, a pretty white shimmer that is quite sheer. 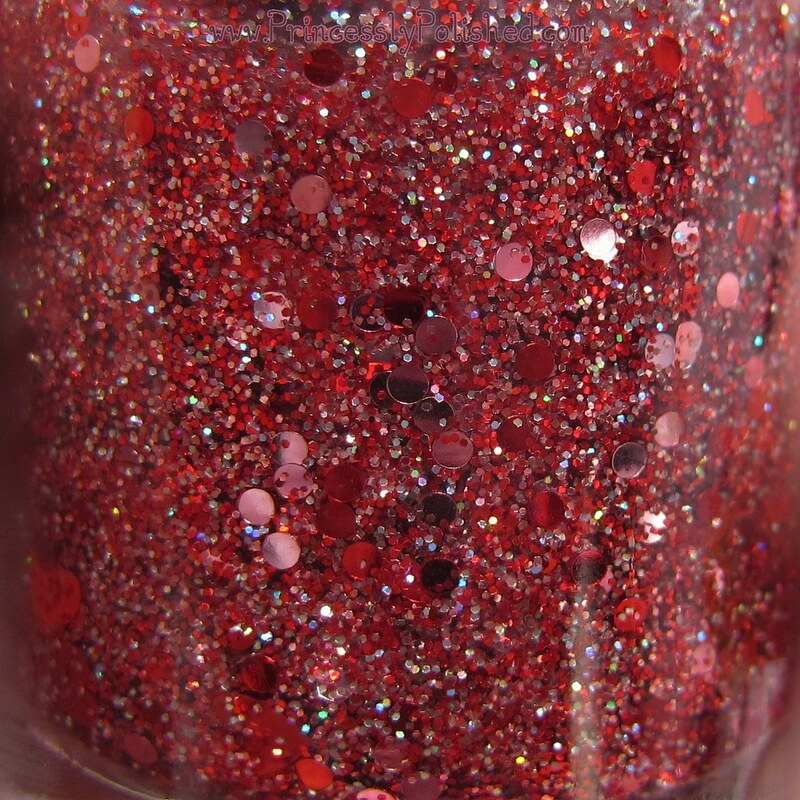 This macro shot of All Red-y In Love shows off the glitter, but none of my pictures is showing just how extremely sparkly it is! A mix of red, pink, and silver holo glitters, including a dash of holographic red hearts. I had left my bottle upside-down overnight before using it and had no trouble getting to the hearts that way. dentist in west hollywood offers $1,000 off invisalign braces dr.
who previously ruined their credit health. your approval within of the hour or sooner, provided your information satisfies the bank's requirements.